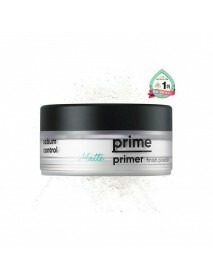 Prime Primer Classic＇Product DescriptionHelps cover uneven skin texture like pores & wrinklesCreates an ideal skin condition for makeupPrevents shine to maintain fresh looking makeupQuickly absorbs into skin & provides medium to full coverageRecommen..
Prime Primer Finish Powder＇Product DescriptionHydrating Finish Powder that delivers natural coverage and moisturizing radiance.Contains Pure Nature Complex (glacial milk/nordenaus/celtic water/thermal water) and mineral ingredients of Green Clay.Sebu..
Prime Primer Matte＇Product DescriptionMattifying face primer creates a shine-free and flawless base with control powder that not only absorbs excessive sebum but also regulates oil production to keep skin and makeup matte and fresh.＇How to useApply i.. 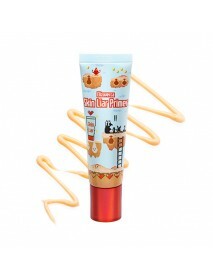 Skin Liar Primer＇Product DescriptionAre you ready to fake it till you make it?With Elizavecca's Skin Liar Primer, you'll definitely want to try!This skin smoothing primer evens out texture as well as fill out those pores for makeup application that s..
Aqua Petit Jelly Starter＇Product DescriptionBe Shimmering Watery Skin with Sheer Aqua Jewlry Pearl.Starter is a kind of primer.This product is made with moist jelly texture.Baby pink jelly contains little gold pearls.There is bundle spatula and latex..
[INNISFREE] No Sebum Blur Primer [Description] Cover bumpy pores with clean cover giving silky care before make up.Nature derive mint ingredient and natural minerals balance moisture giving long lasting soft looking skin. 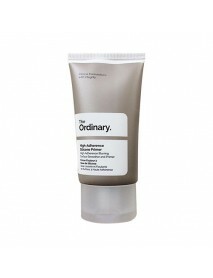 Jeju persimmon tighten por..
UV Pore Blur Starter (SPF50+ PA++++)＇Product DescriptionPore blur + Smooth skin + UV protection (SPF50 + PA +++)It is a simple product that combines primer and sun block.Cover pores and fine wrinkles. 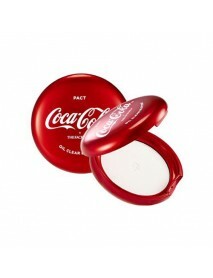 Provides smooth skin texture.Prevent darkening wi..
Coca Oil Clear Blotting Pact＇Product DescriptionOil clear blotting pact that controls oil level and prevent darkening which makes skin look more healthy and beautiful.It helps make up last long if applied before makeup, it makes makeup stay neat if a.. 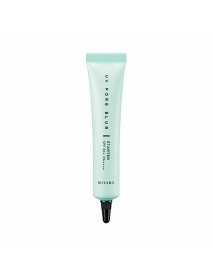 Zero Fit Primer (#Lumiere)＇Product DescriptionThe moisture-rich luminous primer with soft-shining pearl.Creates a smooth and illuminated complexion.Creat a moisturized and radiant canvasThe moisture-rich base sits close to skin to deliver a moisturiz.. 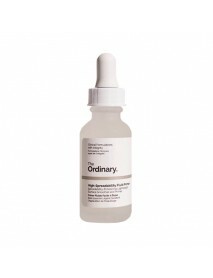 Zero Fit Primer (#Poreless)＇Product DescriptionThe pore covering primer evens out the appearance of uneven skin texutreand helps makeup to fast longer.Cover your pores in a single applicationThis primer with pore veil polymer sits close to skin to co..
High-Adherence Silicone Primer＇Product DescriptionThis formula uses advanced adaptive silicones to act as a matte, hydrating, blurring primer for makeup that looks higher in definition and adheres for longer. 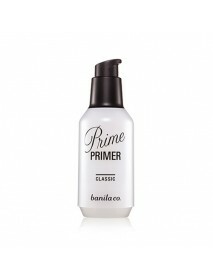 The formula can also be used alone as a n..
High-Spreadability Fluid Primer＇Product DescriptionThis new generation of primer is a lightweight serum-like formula that increases the spreadability of subsequent complexion makeup to help avoid the unnatural and uneven accumulation of pigments espe..